Pakistan’s politics has seen so many crises and so much ups and downs that it has now become a junk. In these hard times when elections are on their way, every political party is preparing and getting ready to make Pakistanis fool once again. But people are now fully aware of these old tactics of the politicians and they are not ready to waste their right of vote for these politicians. In these hard times, a new face has emerged on the political frame. 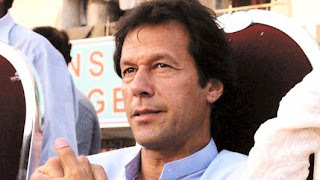 Imran khan,- former cricketer who won world cup and proved his worth in 1992 as good captain is now aiming to prove his worth as a good politician and leader. He has introduced this unique style of calling the youth of Pakistan because he has realized that the youth is what needed to be called. For this he has done successful jalsa is many cities of Pakistan. It seems that people want to listen to him now. They want to see him as their leader. Another breakthrough in the political field is that families are supporting imran khan, not just few girls and boys. Imran khan has presented himself as a man worthy to give a chance, but critics view him differently. Some say that his slogans of change are only slogans while others say that he is the only hope we have left in these dark times. Apart from all the praises which imran khan has earned so far, this is also a fact that in past he has supported some people over events which were not to be supported by a man like him. He is also gathering all the prominent politicians in his party who are also vote banks for him. Like shah mehmood qureshi, qasoori, javed hashmi etc. these men were not happy with their previous parties because they were not given prominent positions in their part front. All those people who left their parties and joined Pakistan tahrek-e insaf and those who once enjoyed golden time sin their parties but then their positions were compromised by some other party members. This enraged them and they left those parties. Some critics say that these people have huge following from their native areas. They will bring votes to tahrek-e insaf . this act of imran khan is being criticized widely. Secondly, critics are saying that imran khan who once shouted out loud that he would never welcome any corrupt man in his party has welcomed greedy and corrupt people. This is also a point which can go against imran khan in elections. At the moment, the only man who is being welcomed by people of Pakistan is imran khan because Pakistanis are comparing him with existing old faces and he seems to be a shining star on sky. Imran khan can prove his worth as a good politician only if he does not intend to rule just like all these people.